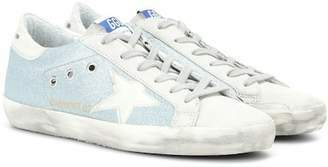 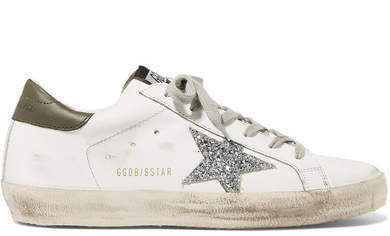 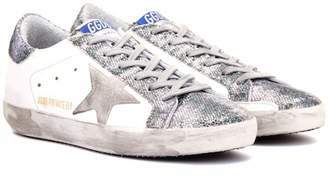 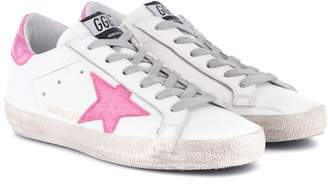 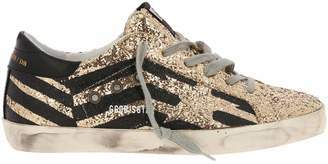 Golden Goose's 'Superstar' sneakers are handmade in Venice, Italy, but their overall vibe definitely reads more Venice Beach, California. 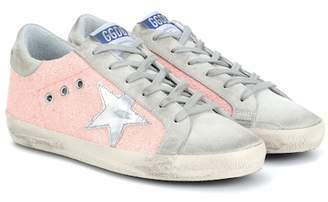 This pair has white leather uppers with a contrasting heel tab and glittering stars on each side. 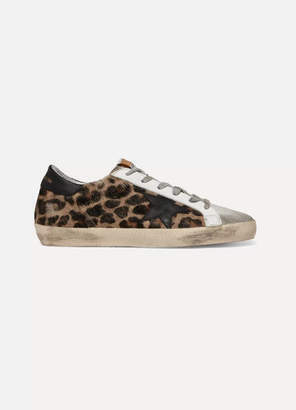 The distressed finish means you won't sweat making that first scuff.